​Our ideal outcome for wanting to do this? 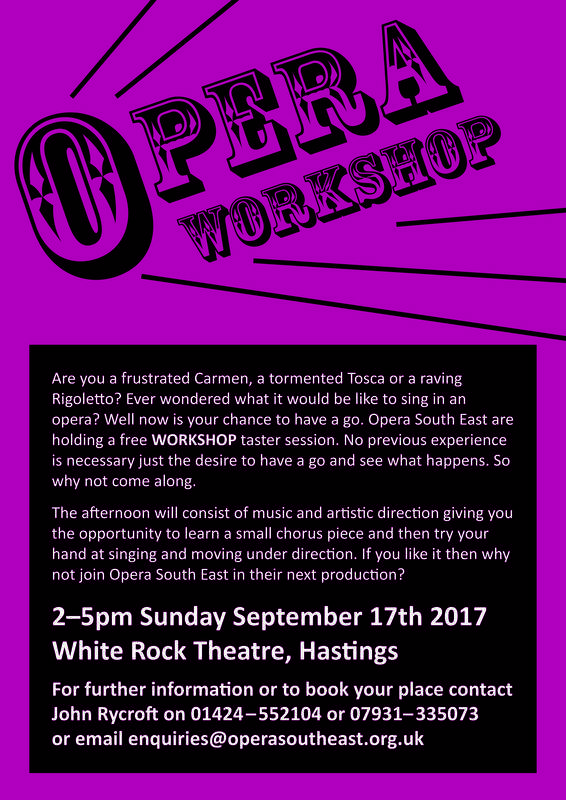 Well to tempt you into finding something special in opera and hope you'll consider joining our next opera production as part of our chorus. Please let us know if you're interested at any point before the event itself, either via this form or getting in touch with our Chairman on the contact details shown on the poster to the right. Some remaining 2017 and early chorus rehearsals may yet to be moved to the evenings. ​2017 rehearsals are an opportunity to get used to the music before the New Year rehearsals - exact dates t.b.d. Sat 21-Apr-18 - Production night 2 - White Rock Theatre - 6pm-10:30pm (7.30pm curtain-up).